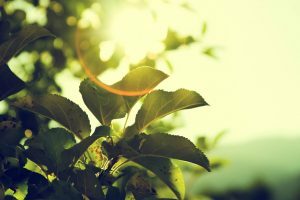 March 17, 2019 /in Acupuncture, Acupuncturist, chinese medicine, emotional wellness, healing, health, seasons /by Jennifer Rose LAc. Spring is a favorite season of mine! During springtime the air has a certain vibrance, clarity, and newness. When we think of spring, we think of flowers blooming again, nature regrowth, and clear expansive skies. This also applies to Chinese Medicine philosophy. 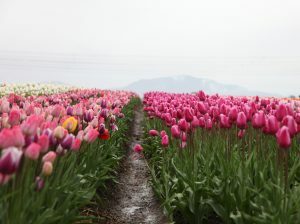 Springtime represents outward moving energy, rebirth, cleansing, and a time of restoration. The organ system that is predominant during the spring is the liver. The liver is responsible for the smooth flow and movement of qi or energy in the body. When the liver energy is flowing smoothly, physical and emotional energy flow smoothly as well. Move Your Qi (Energy) By Moving Your Body! It can be something as simple as taking the dog for a walk, going for a bike ride, yoga, gardening, or any activity that you love. Stretching can awaken the expansive energy within your body! Some opt to do a cleanse during this time, however I do not necessarily recommend this for everyone. Making conscious food choices are important by eating whole foods (things that grow). The Liver loves green and sour foods. Drinking lemon water, a tablespoon of apple cider vinegar or eating leafy greens, artichoke, dandelion, and milk thistle tea will improve the liver’s overall function and make it very happy. It is a perfect time for a treatment if you are feeling irritable, depressed, stressed, allergies flaring up, have itchy eye symptoms, are experiencing pms, dizziness, or feeling sluggish. Your liver may need some help getting unstuck. Acupuncture is wonderful for this, as well as for prevention of disease, and for overall health and well being. Other complimentary modalities can be used as well! https://jenniferroseacupuncture.com/wp-content/uploads/2019/03/zbynek-burival-626154-unsplash.jpg 511 355 Jennifer Rose LAc. https://jenniferroseacupuncture.com/wp-content/uploads/2018/01/JRlogomini.jpg Jennifer Rose LAc.2019-03-17 03:56:072019-03-20 16:26:39Happy Spring Equinox! 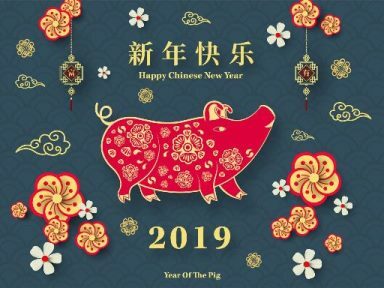 February 5, 2019 /in Chinese New Year, healing, health, Holidays /by Jennifer Rose LAc. Happy Chinese New Year 2019! It’s the Year of the Pig! Wishing You Health, Peace, Love and Prosperity in the New Year! https://jenniferroseacupuncture.com/wp-content/uploads/2019/02/yofthep.jpg 288 384 Jennifer Rose LAc. https://jenniferroseacupuncture.com/wp-content/uploads/2018/01/JRlogomini.jpg Jennifer Rose LAc.2019-02-05 17:54:272019-03-19 12:23:14Happy Chinese New Year 2019! "17 ‘Small,’ But Significant, Lifestyle Changes That Help People With Anxiety"
June 27, 2018 /in Acupuncture, Anxiety, chinese medicine, emotional balancing, emotional wellness, healing, health /by Jennifer Rose LAc. Although there isn’t a one size fits all answer to coping with anxiety, here is a link to a Huffington Post article on some lifestyle changes that have helped people. Acupuncture and Chinese Medicine can also help treat anxiety and other emotional imbalances with much success! June 23, 2018 /in Acupuncture, chinese medicine, healing, health, seasons, thousand oaks /by Jennifer Rose LAc. Summer is the season filled with abundant, creative, outward energy. It’s the most Yang time of year. It is important for the organs to remain in balance for health and well being. When the fire element is in balance, one may feel relaxed and energized. If there is an imbalance one may experience depression, mania, heartburn, agitation, blood pressure issues, joint pain, or insomnia. Stay hydrated and drink plenty of room temperature water. Awaken earlier in the morning and go to sleep earlier. Eat foods that are cooler in nature with higher water content such as cucumber, watermelon, oranges, radishes, and coconut water. If you feel hot or sweat often, drink warm tea slowly rather than cold drinks because this can create dampness in the body. Chrysanthemum or mint teas are cooling options. Avoid sleeping with a fan or air blowing directly on you, as this can create muscle stiffness. 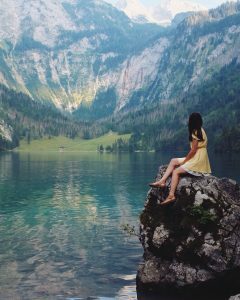 Move your body, take a walk in nature. Take time for yourself and breathe. https://jenniferroseacupuncture.com/wp-content/uploads/2018/06/unsplash.jpg 2048 3072 Jennifer Rose LAc. https://jenniferroseacupuncture.com/wp-content/uploads/2018/01/JRlogomini.jpg Jennifer Rose LAc.2018-06-23 19:12:462019-03-19 12:23:14Happy Summer! 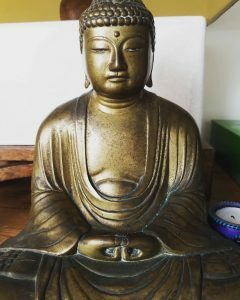 May 12, 2018 /in Acupuncture, Acupuncturist, buddhism, healing, Meditation, prayer, Spirit /by Jennifer Rose LAc. May all brings be peaceful, safe, & happy. Now Booking Appointments At The Westlake Village Office! March 28, 2018 /in Acupuncture, chinese medicine, emotional balancing, healing, health, pain management, thousand oaks, women's health /by Jennifer Rose LAc. We are excited to announce that we are now booking appointments at the Westlake Village office! Now local to the Thousand Oaks and the Conejo Valley areas! Please contact Jennifer Rose Acupuncture for more information! https://jenniferroseacupuncture.com/wp-content/uploads/2018/03/J_butterfly_black_logo_CMYK.jpg 378 922 Jennifer Rose LAc. https://jenniferroseacupuncture.com/wp-content/uploads/2018/01/JRlogomini.jpg Jennifer Rose LAc.2018-03-28 22:23:302019-03-19 12:23:14Now Booking Appointments At The Westlake Village Office! March 21, 2018 /in chinese medicine, emotional wellness, food as medicine, health, seasons, stress /by Jennifer Rose LAc. The organ related to spring is the liver which controls the smooth flow of Qi (energy) in our bodies. In Chinese Medicine, when the flow of Qi is smooth, there is health, when the flow of Qi is blocked, there is pain and illness. It is the time to come out of our winter hibernation, stretch our muscles and start to do more outdoor activity. Through movement we can supplement the liver and move our Qi, which can help lead to better health. The element of the liver is wood and just as in nature, we need to use this time to grow. If we deprive our bodies of this natural progression, we may become stressed, angry, or depressed. These emotions can also negatively affect the health of the liver. Spring is the perfect time to start a meditation or deep breathing practice. It can help to move the Qi and prevent stagnation. In Western medicine we know that the liver works to detoxify the body. This is why many people will do a cleanse in the spring. It is a good time to rid the body of the toxins that accumulated during the winter months. Instead of doing a radical fast or cleanse, try adding foods to your diet that can naturally help to detoxify your body. The flavor associated with the liver is sour. Lemons have a wonderful detoxifying effect on the body. Adding lemon to your water or tea can be help stimulate digestion and aid the liver in cleansing. Lemons are also filled with vitamins and antioxidants which help to flush toxins from the body. The color of the liver is green. Leafy green vegetables are especially important for the health of the liver. Incorporating vegetables like spinach, kale, chard, and collard greens can aid the liver, support immune function, and can also act as a diuretic to rid the body of toxins. Lightly steaming these foods will preserve their nutrients and make them easier to digest. You can add lemon, garlic, and herbs to make a tasty springtime dish! Also, try boiling dandelion greens, strain, and drink the tea for its healing properties! Acupuncture and Chinese medicine can also help improve the overall health of your liver, balance the body, and soothe emotions, stress, and pain. Consistent treatments get the best long term results! https://jenniferroseacupuncture.com/wp-content/uploads/2018/03/polychrome-creative-252591-unsplash.jpg 2578 3450 Jennifer Rose LAc. https://jenniferroseacupuncture.com/wp-content/uploads/2018/01/JRlogomini.jpg Jennifer Rose LAc.2018-03-21 22:10:562019-03-20 16:57:48Happy Spring! Spring Wellness! We are relocating to Westlake Village! March 8, 2018 /in Acupuncture /by Jennifer Rose LAc. Jennifer Rose Acupuncture will be relocating to Westlake Village! Appointments are available at my new office location beginning the month of April. For those who I have not seen in over a year a re-intake/consult is required, however, I am waiving the fee and offering this at the price of a regular visit. To my patients local to Ventura, I am excited to share this new office with you and value your care. If it is more convenient for you, I am still booking appointments at the Ventura office through the month of April on Saturdays. https://jenniferroseacupuncture.com/wp-content/uploads/2018/03/jennifer-rose-acupuncture-blog-3.8.18.jpg 214 400 Jennifer Rose LAc. https://jenniferroseacupuncture.com/wp-content/uploads/2018/01/JRlogomini.jpg Jennifer Rose LAc.2018-03-08 21:24:252019-03-19 12:23:15We are relocating to Westlake Village! January 18, 2018 /in Acupuncture, Aromatherapy, Body /by Jennifer Rose LAc. I often incorporate aromatherapy into my acupuncture treatments. By placing an essential oil or a blend onto specific acu points on the body, it can enhance their action. I often recommend that patients use certain oils at home to aid them with once they leave the office. Lavender is one that I speak of often and is extremely powerful. It can be used for digestive upset, pain relief, insomnia, restlessness, and even as a topical aid for wounds. I have found it to be extremely helpful with patients experiencing depression, anxiety, and sleep difficulty. 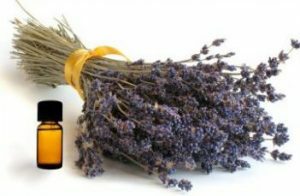 By placing a few drops of Lavandula angustifolia on a pillow or sheets, it can help the body relax for sound asleep. 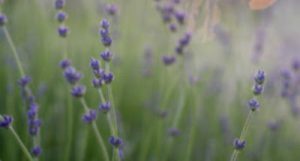 A study in England showed that lavender is just as effective for promoting sleep as traditional medications. You can also try brewing a lavender tea!